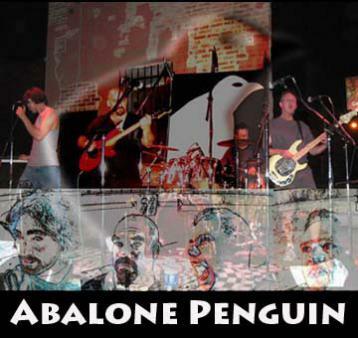 Click on the album covers above to purchase directly from Abalone Penguin using paypal! 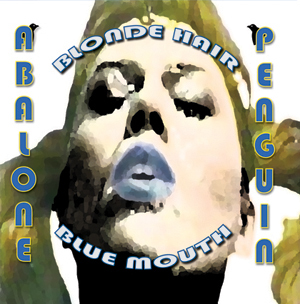 Abalone Penguin continues producing diverse and entertaining music with its 2012 release Blonde Hair Blue Mouth. 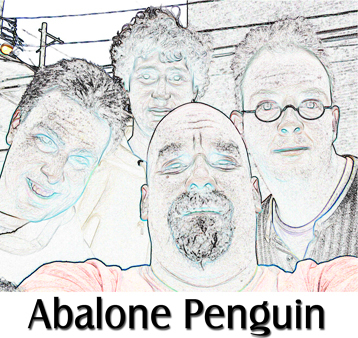 Exploring new genre combinations and developing and refining their unique ecclectic sound, Abalone Penguin has arranged and produced an expressive collection of 9 new songs. An excellent collection of their ideas and creative expression, their hard work and dedication has yielded an album with something for everyone. Listen to samples of the new songs using our store widget, Check us out on iTunes, Amazon, or click on the album cover above to go to CDBABY! 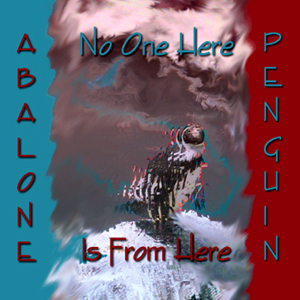 No One Here Is From Here continues Abalone Penguin's exploration of style mixing and bending. Starting with Mother Nature's lush tones and pastoral imagery, through punk on I'm Dead, and country folk on Gentry, Reggae and Punk again on Let the Children Play, Abalone Penguin get more progressive with Carousel and Leopard Lounge. They delve into the psychaedelic 60s with Arabian Forest and get a little calypso on From Over Here. 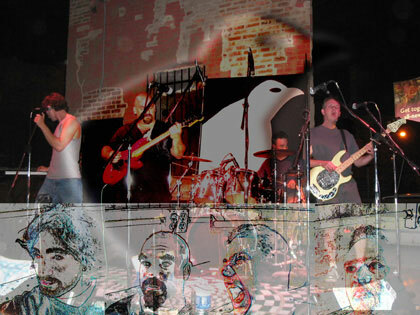 It all wraps up with the title track No One Here is From Here - an original classical/jazz composition on guitar. Something for everyone - and everthing for all!